Don't have a Customer User ID? Daily (Scheduled) Maintenance window is from 3:00 AM CST to 3:30 AM CST. Weekly (Scheduled) Maintenance Period: 1:00 AM to 5:00 AM Sunday (CST). MySysco Order, Sysco Mobile Ordering and Inventory will be unavailable during this maintenance window. Have you tried placing your orders using MySysco Order? Our most advanced and reliable ordering tool, MySysco Order offers an enhanced experience with new features added regularly. Don't worry if you haven't used it. It's quick and easy to get started, and better yet, all of your orders, custom lists and guides are already available for you in the application! Try MySysco Order today! For ordering on-the-go, check out our Sysco Mobile app, the mobile version of MySysco Order. Order at any time, from anywhere, to run your most efficient and profitable business! Download the app from the App Store or Google Play, and then log in using your existing MySysco Order username and password to start ordering! 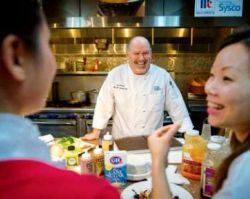 Sysco provides its customers with more than they expect: unmatched product quality and variety, outstanding service and hands-on expertise to help their business succeed. 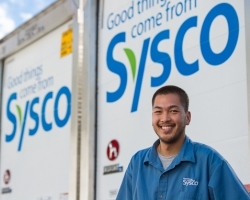 If you want the good things that come from Sysco, it is easy to become a customer. MySysco Order - Sysco recommends Internet Explorer 11, Google Chrome, and Mozilla Firefox with pop-up blockers turned off, and minimum screen resolution of 1024 x 768.